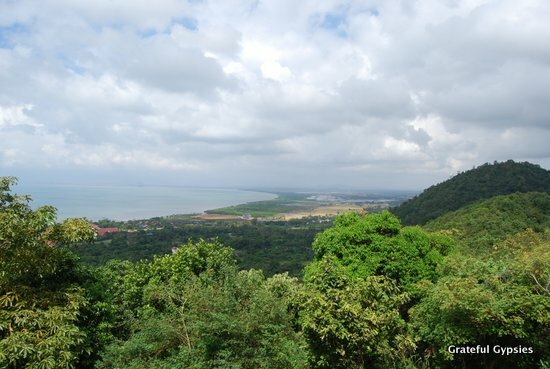 Kep is a lazy sea-side town about an hour’s drive from the border with Vietnam. We spent our time there hanging out by the pool at our guest house, hiking in the national park, riding bicycles, hanging with locals and eating. There are shells of old villas scattered around the town that are fun to ride around and look at, and even some monkeys roaming around. Kampot is also a quaint little town with a lot of old French architecture. We stayed in a village a few kilometers outside of the town at an awesome hostel. In our few days there, we took a sunset river cruise, played mini-golf and explored the country side around the town. 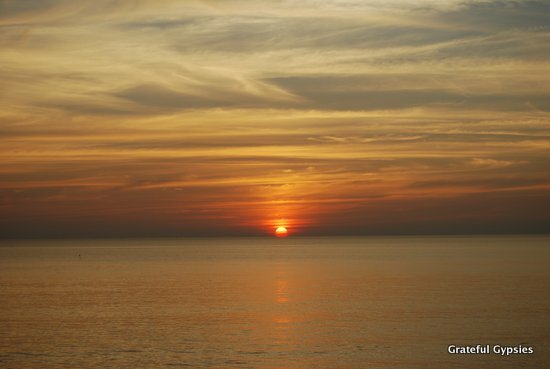 Great sunsets every night in Snookyville. Sihanoukville is Cambodia’s premier beach party town. There’s a lot to do on the water during the day, and even more going on in the town at night. Read our post to see how to stay away from the party but still be able to enjoy it. 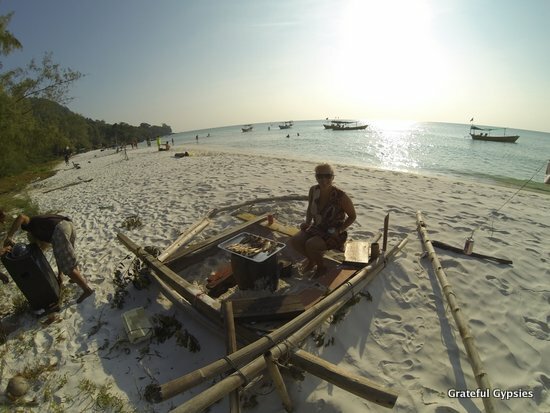 Eating the fish we caught on Koh Rong. We spent Christmas on this small undeveloped island. Fishing trips, hiking, beautiful sunsets and a fair amount of partying was a great way to spend the holidays. Word is that Koh Rong is going to be developed with an airport and casinos, so get there before the packaged Chinese tourists do! 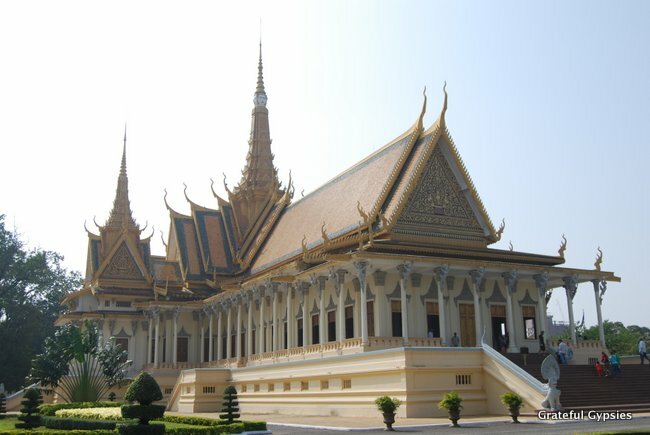 In the Cambodian capital, we learned about the country’s troubling past and bright future – visits to the S-21 Genocide Museum and Killing Fields as well as some nice walks around town and good times at night. 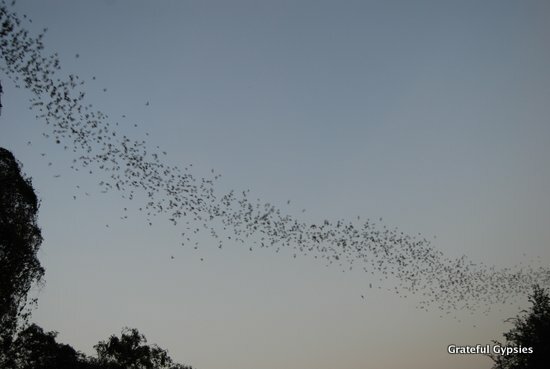 Thousands of bats flying out of the cave. Learn about all the cool things to do in this often over-looked destination – cycling around villages, taking a ride on an old bamboo train, visiting a bat cave and partying it up at the Here Be Dragons hostel. 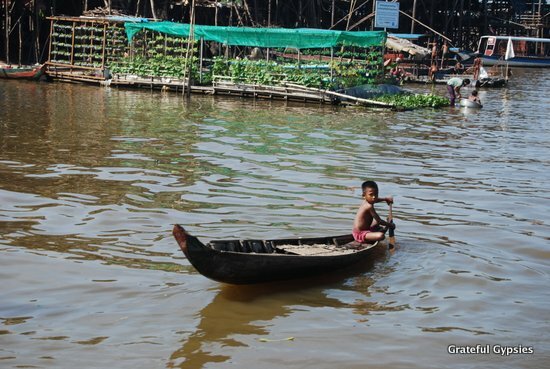 A boy moving around the floating village. 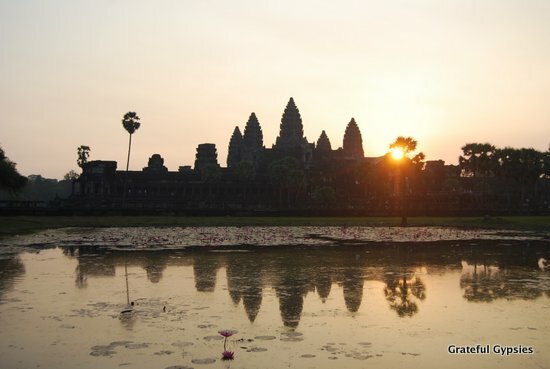 There’s much more to this city than the temples of Angkor. Get schooled at the museum, take in a great performance for a great cause, visit a floating village and rage the night away on the infamous Pub Street. Standard Angkor Wat sunrise pic. 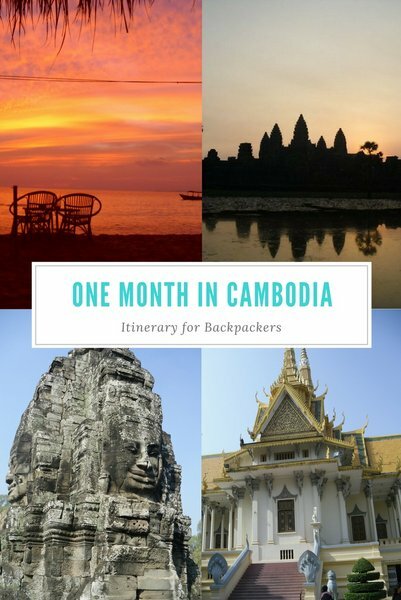 By far the most famous attraction in Cambodia and one of the top places to visit in all of SE Asia, planning a trip to the temples of Angkor can be a bit intense. Read up on our advice for when and how to visit the temples. 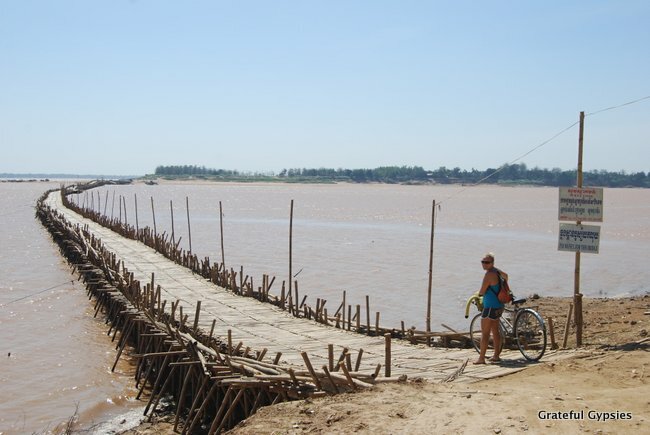 Crossing the bamboo bridge in Kampong Cham. Instead of taking a miserable journey all the way from Siem Reap to Laos, we decided to make two stops to break up the ride. 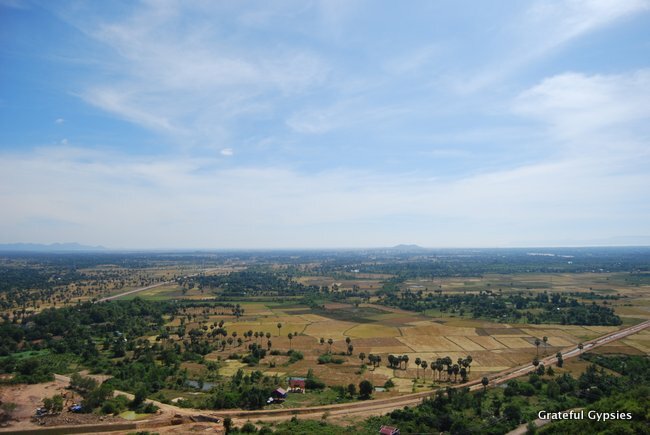 In Kampong Cham, we visited a hill-top temple, checked out some more ruins and rode our bikes across a bamboo bridge. Searching for the pink dolphins. 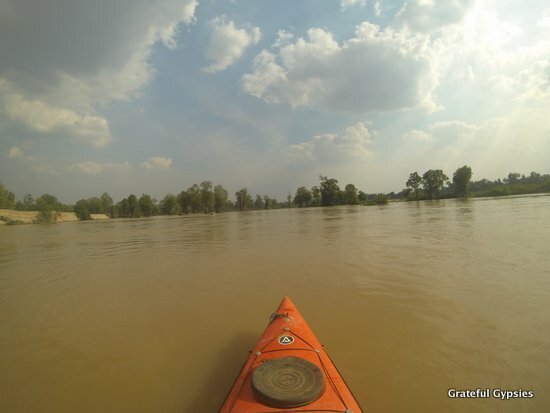 In our last stop on our Cambodia adventure, we went kayaking with the rare Irrawaddy Dolphins. We would have stayed another day, but we had to get to the border before our visas ran out. Craft Beer and Psytrance Festivals… in China?